As the owner of a steakhouse that aspires to be the best of the best, I have a responsibility to check out the competition. It’s hard work sometimes (Heavy is the hand that hoists the steak knife. ), but I do it without complaint. 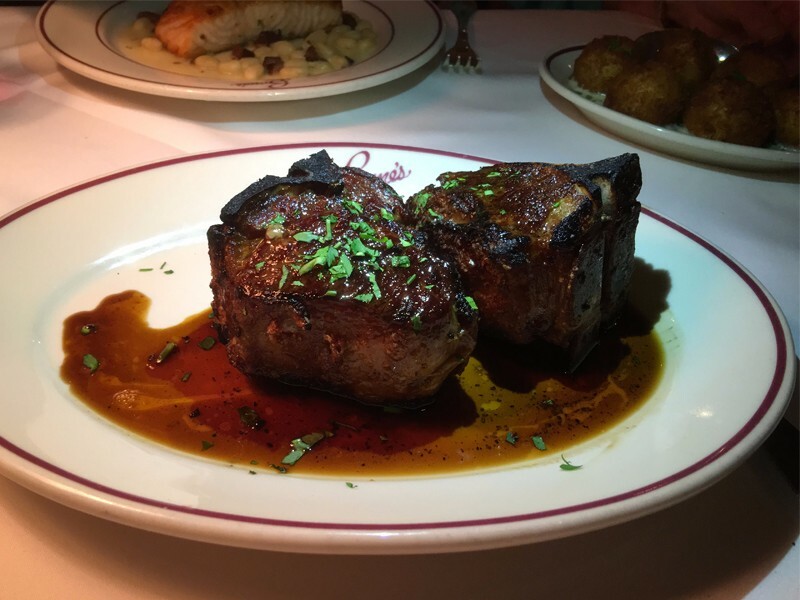 A quarter-century after opening Manny’s, I’ve eaten at probably every significant steakhouse around the globe. 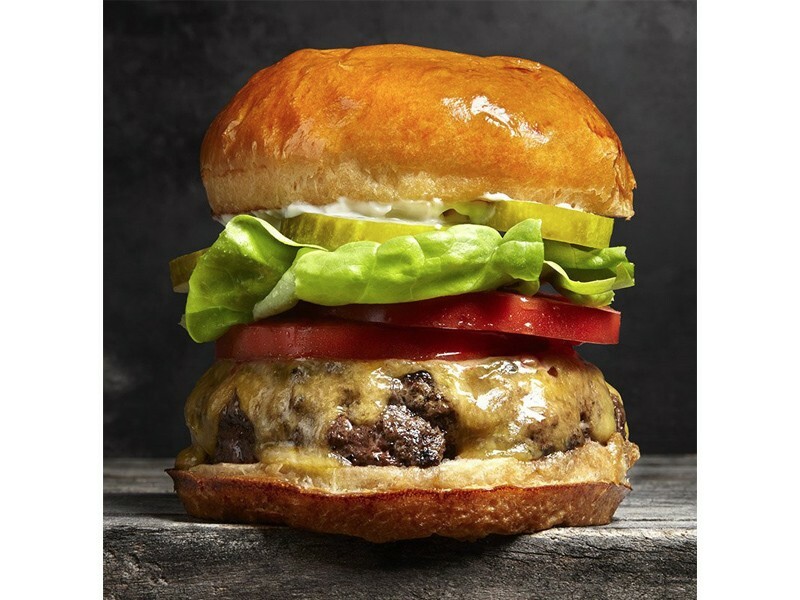 Some are traditional icons (think Peter Luger). 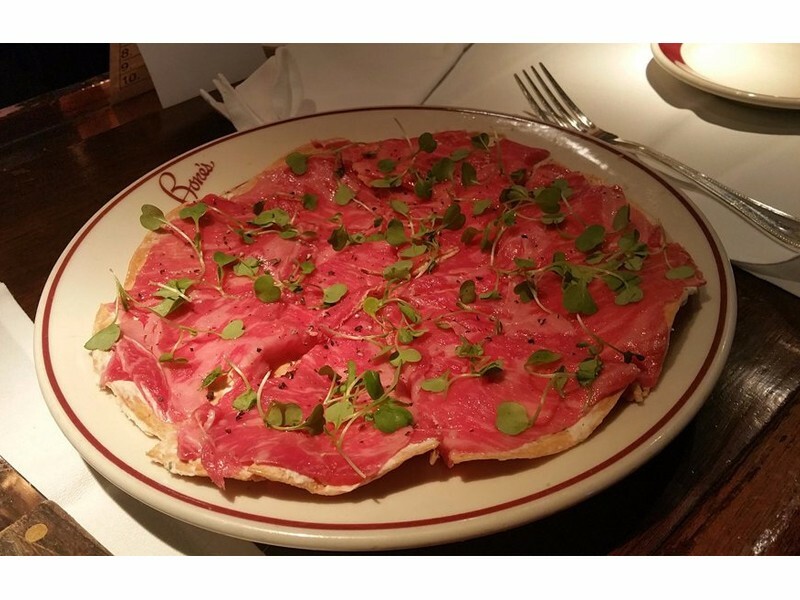 Some are more adventurous, like Prime in Las Vegas or Kevin Rathburn in Atlanta. 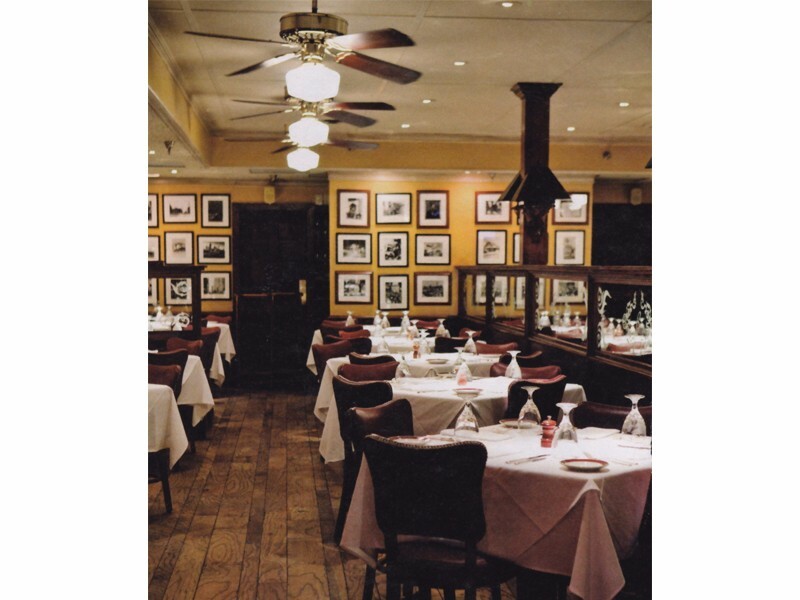 Some are more Italian, like Gene and Georgetti’s in Chicago, and of course there are the Argentinian restaurants like Cabana Las Lilas in Buenos Aires, which I blogged about earlier. But every now and then I want a simple experience – a beautiful steak simply grilled, well served, in “steaky” surroundings. That was the case on a recent road trip through the South. 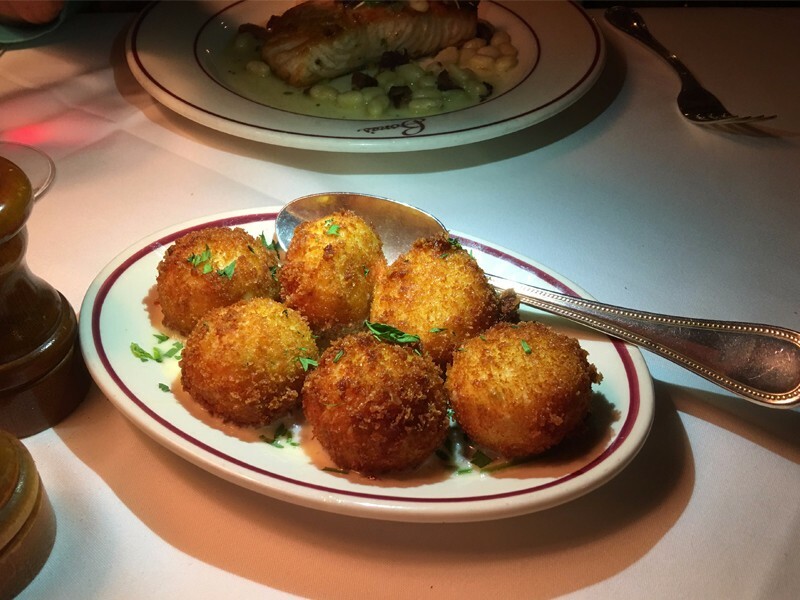 I ended up in Atlanta and went to a longtime favorite steakhouse, BONES, in Atlanta. My partner, Pete, and I visited this place thirty years ago in preparation for opening Manny’s, and not much has changed. It’s old school…reliable, predicable, comfortable, safe. 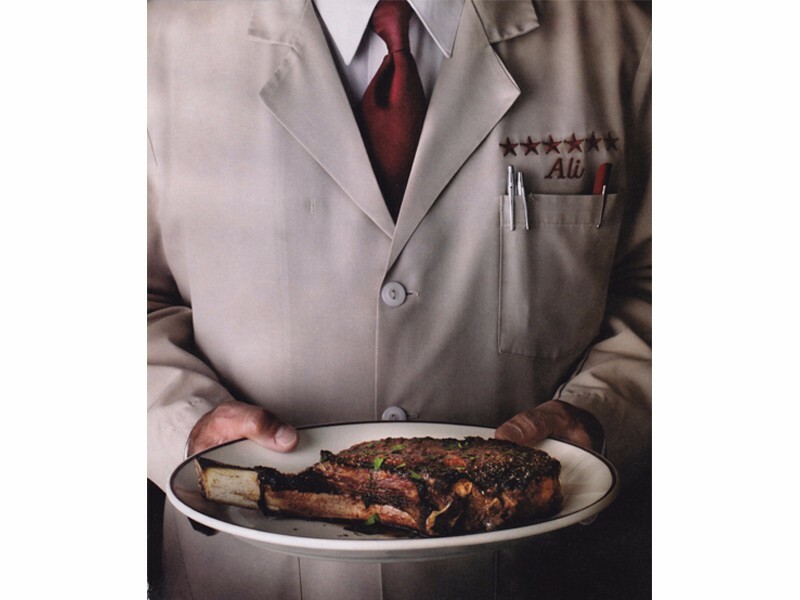 No skyrockets here, just a great steakhouse. Me ... Taking Notes ... Work, Work, Work! 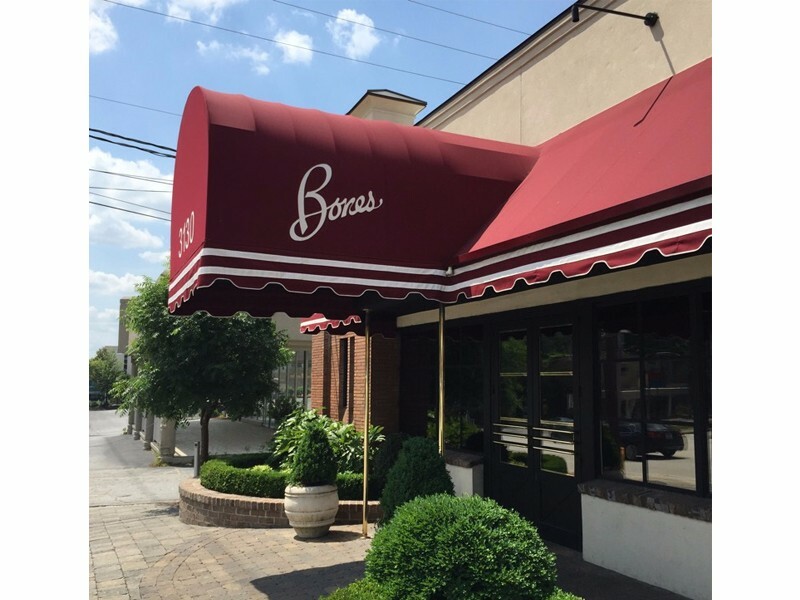 Bones boasts a 28 rating in Zagat’s and has been selected as the number one steakhouse in Atlanta by Atlanta magazine for the last several years – no doubt due to their steaks, but in my opinion also because of their lamb chops: two, big double-thick beauties, among the best I’ve ever had. 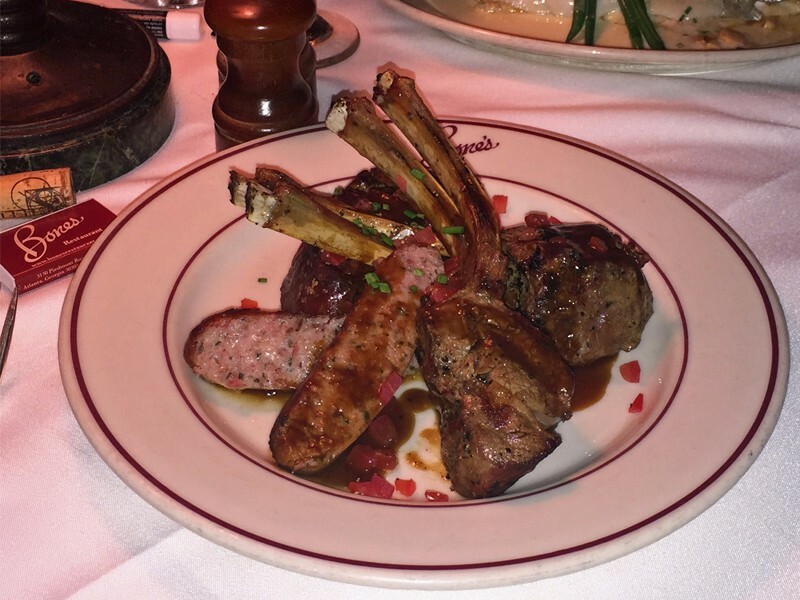 If I were to send you to Bones, however, I might steer you instead to the Mixed Grill, featuring a filet, lamb chops and pheasant sausage. I’d also try the burger, which people rave about. 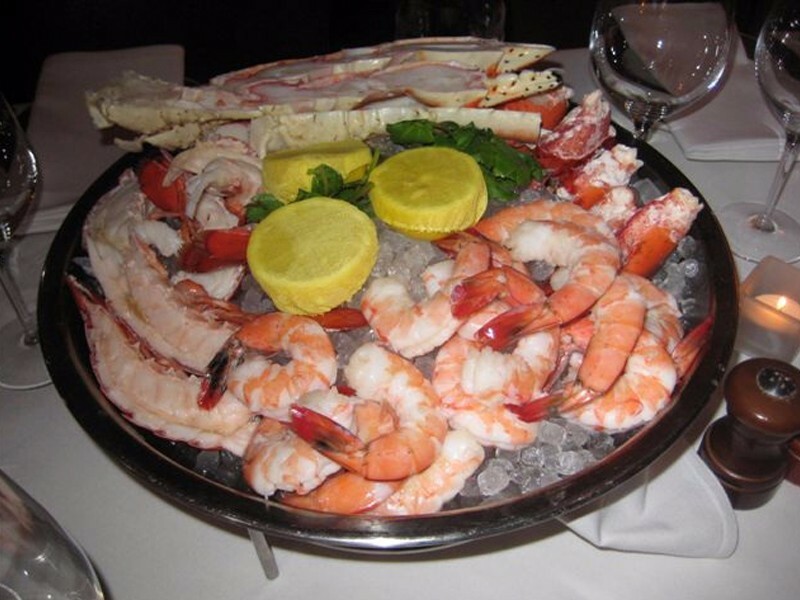 Seafood doesn’t play a secondary role here either. 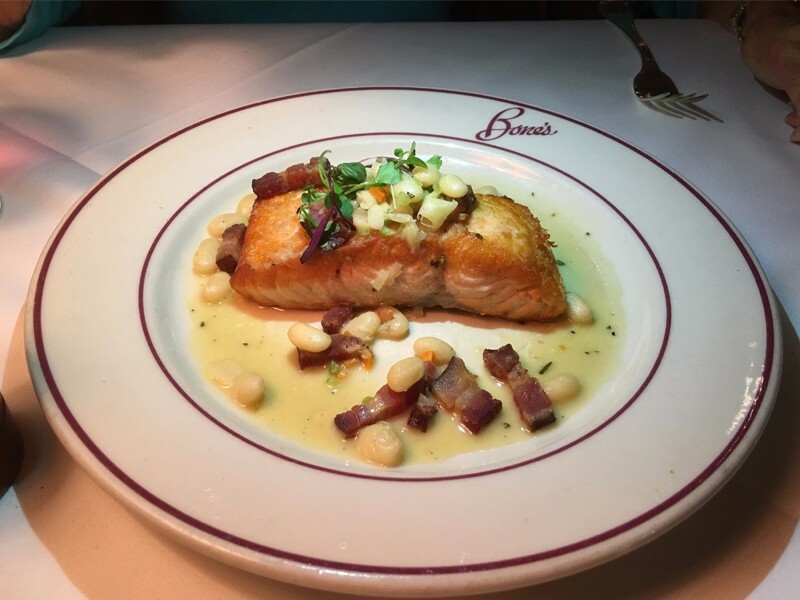 Joanne had King Salmon with bacon and white beans (like I always say: the best way to enjoy fish is by adding meat to it). 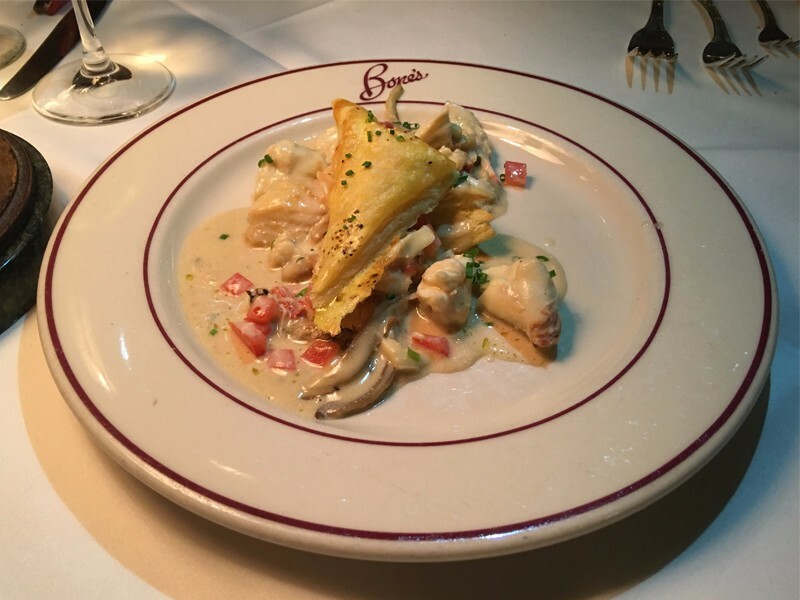 On our most recent visit, she also had the Crab and Lobster Napoleon. 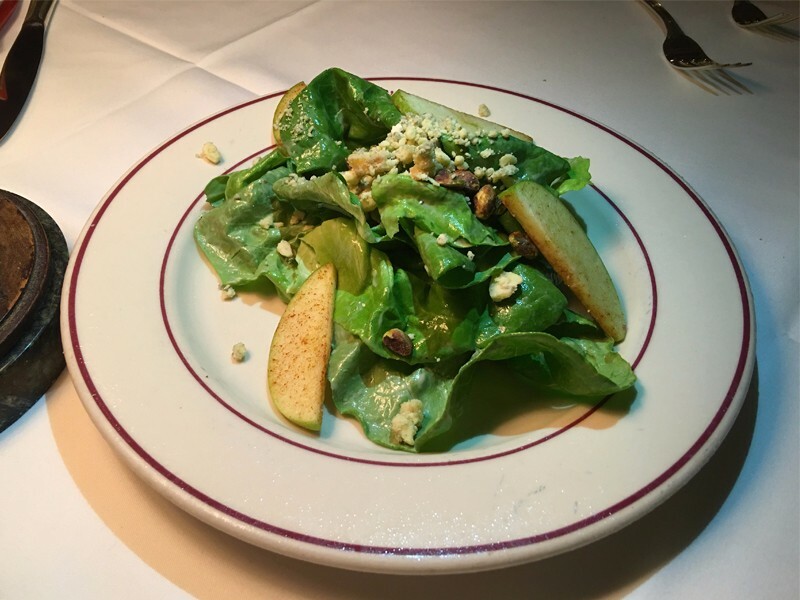 Normally, you don’t leave a steakhouse raving about the salad…but Bones’ signature salad is a gem…with toasted pistachios, blue cheese and green apple. And finally, dessert. Note my partner Pete about to devour Bones’ famous Mountain High Pie. 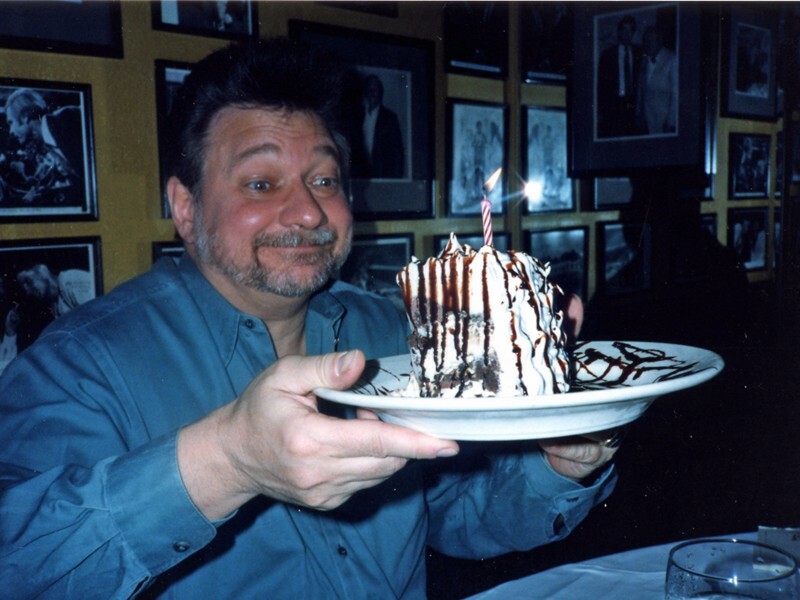 What’s funny about this photo – and you can see it in Peter’s forced smile – is that in order to photograph the food and interior, we had to pretend it was Pete’s birthday. This was long before photographing your food become customary. Back then, you could get kicked out of a restaurant for doing it, so fearful were restaurateurs that their ideas would get stolen (by assholes like me, I guess). 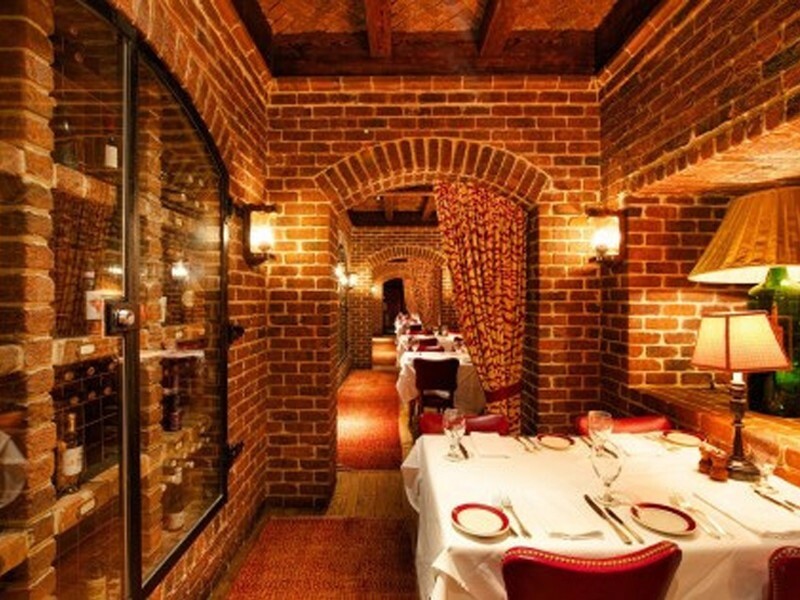 In fact, one time I actually did get kicked out – from Red Sage in Washington, DC, the glitzy Wild West restaurant opened by celebrity chef Mark Miller. Bones certainly isn’t high concept like Red Sage was at the time. You won’t encounter anything new, but it’s hardly the same old-same old. By the way, I’ve always liked table 84 here. It’s in the wine library (pictured), offering a quieter and more private environment than the main dining room. 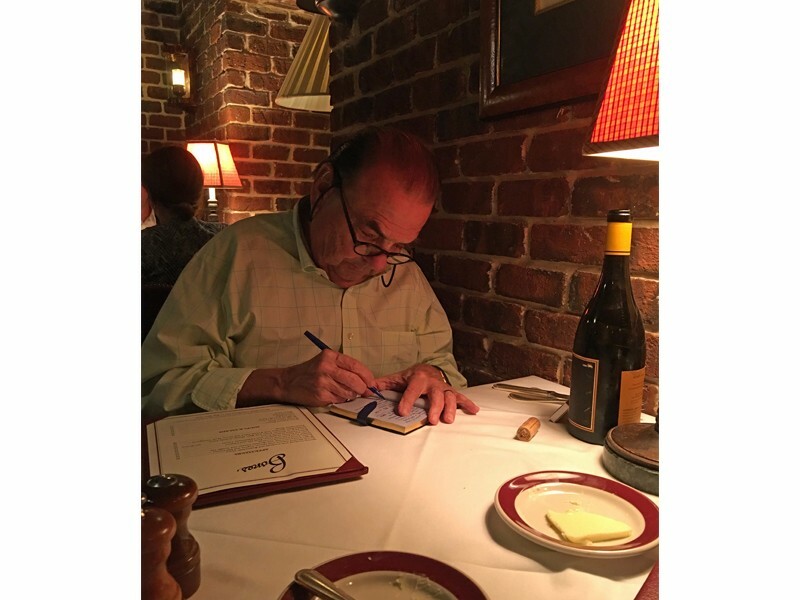 Go there, ask for table 84, and send me a photo. That is, if they don’t kick you out.